A wealth of tech and entertainment professionals, digital media educators, and more treated a diverse group of students from Cal State Los Angeles, Cal State Long Beach, USC, UCLA, Santa Monica College, LA Mission, and Loyola Marymount to a day of career workshops and a tour of AT&T Entertainment headquarters in Los Angeles on Friday, Feb. 22, 2019. The workshop event—titled “Your Career Tool-belt: A digital media career experience for students, educators, and creative builders seeking to enter Silicon Beach”— Our Keynote, speaker was Shane Norman, Lionsgate/LOL Network. Other featured presenters and mentors representing some of the best established and emerging companies across the worlds of tech, entertainment, digital media, and more: Jay Tucker, UCLA Center for MEMES) DPI; Juliana Jai Bolden (Hollywood Post/BlackTree TV (YouTube MCN); Nic Novicki (Easter-seals Disability Film Challenge) Deron Wells (Hollywood Post, NHRA);and AT&T’sAmir Johnson. As part of the event’s celebration of Black History Month, the esteemed Retired General Arnold Gordon -Bray joined via Skype, imparting lessons in leadership and observing that Black History is truly “American History…in color.” General Bray and Kevin Clark teamed up to fund NAACP Image Award-winning documentary, www.forloveofliberty.org. Actor, comedian and creator of the Easter-seals Disability Film Challenge Nic Novicki pointed out that 1 in 4 Americans is living with a disability—one quarter of the population, making this pool of more than 60 million Americans the largest minority group across the nation. Ted Milner of 25-year-strong Executive Temps delivered highly valuable, practical job-getting advice—and conducted a prize giveaway, featuring copies of acclaimed career advice book, Leveraging Up. 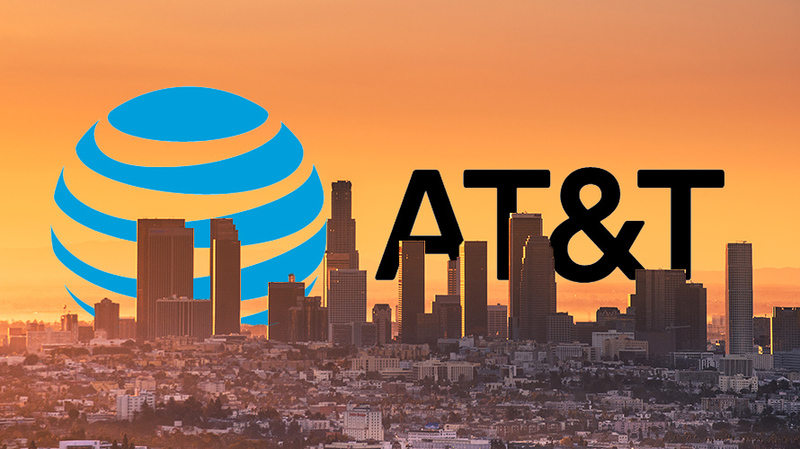 The opportunity to see server rooms, software testing labs and more behind the scenes at AT&T broadened students perceptions of where they may fit in to this and similar professional environments. Lead by Kevin Clark, Dakar Digital Media Academy is a nonprofit organization which delivers mentorship, community service and digital media education programs—and, as Jay Tucker said today, is focused on making sure that the wheels of progress don’t roll over our communities. Lunch was sponsored by Simone Nelson, CSUEA and InternX, and acknowledgement to A2mend, the Tuskegee Airmen Foundation, Lisa Snow McDonald , capture crew, Lawrence Bivens and Dominic Cokley , and instructors: Redelia Shaw, and Bridget Murname. Executive Temps from Executive Temps on Vimeo.